A teenager has been warned she will be going on a “trip to Styal” if she does not improve her behaviour. Wigan magistrate David Hendry urged 19-year-old Chelsey Frith, of Ridyard Street, to change her ways if she wants to avoid prison. She was in the dock to be sentenced for two incidents in which she shouted abuse at a PCSO and spat at a bobby. Kerry Grieve, prosecuting, said PCSO Wendy Walters was called to Scholes amid concerns over the number of people at a flat. Resident Scott Rylands told her he wanted to get a key and fob back from Frith, so PCSO Walters contacted her by phone. She said she was heading back to the flat to get her belongings and made multiple calls to PCSO Walters where she was “screaming down the phone” and swearing. The PCSO went to the flat to meet Frith, who was shouting and pacing around, Mrs Grieve said. She entered the building, but was agitated so was escorted out by police and arrested. Frith was “aggressive” towards the officer and started to bite herself, so she was put on the floor in handcuffs and restraints before being taken to the police station. Ellie Akhgar, defending, said Frith had had a “significantly chaotic lifestyle” for most of her life. She went into care aged 12, had an abusive relationship, was homeless several times and expected to be diagnosed with borderline personality disorder later this month. She said Frith, of Ridyard Street, Worsley Hall, “desperately does not want to be incarcerated” and was “horrified” by her behaviour. She pleaded guilty to using abusive words or behaviour plus two counts of failing to attend court. Frith also admitted committing an offence while subject to a conditional discharge, which was imposed after she spat at a police constable in January, and was re-sentenced for that. 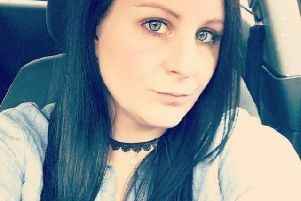 She was given a 12-month community order with 20 rehabilitation activity days and told her to pay a £50 fine, £50 compensation for PCSO Walters, £85 victim surcharge and £85 prosecution costs.